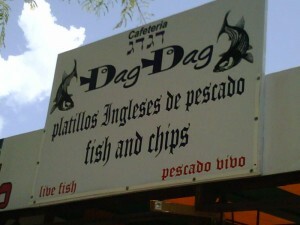 Late last year, a new dairy / fish restaurant opened in Cancun. Dag Dag’s website (koshercancunrestaurant.com) details their menu and prices in English. They took our reservation for 17 people but we decided to pick up instead. No delivery even though it says they do on the website. Cost 40 dollars for the cab. Went to the restaurant. 4 people were waiting for dinner and left without eating after waiting 90 minutes! We waited a total of 3 hrs from the time we ordered until MOST of the food was ready (not all). The place was far from hygenic. They told us they fired the staff for not using gloves and thats why it took so long but the owner was picking paper towel off my order with his bare hands. The food was fair at best. They kept telling us how great it all would be but even the fried fish came with the breading having fallen off in the fryer. They took an hour to make french fries and in the end still charged us full price for evreything. Better bet is to bring microwave meals and buy food from walmart as this place was nothing but aggravating. Considering the restaurant is new, and likely disorganized during their first winter busy season, it’s entirely possible that by now they have their act together. 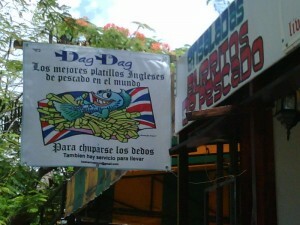 If you’ve visited Dag Dag recently, please comment below and let us know how they did.